Summer is finally here. Is anyone else as excited as I am to spend as much time soaking up that Vitamin D as possible? Along with the beautiful whether and wanting to go outside 24/7, summertime is the perfect time to add brighter colors to your beauty routine. Love Goodly's June/July box is full of the cruelty-free beauty products that that add a pop of color to any summer look. Not only does this box include non-toxic nail polish and coconut-scented lipstick, but it also comes with a gorgeous necklace that will compliment any sundress or breezy blouse. So, without further ado, here is a preview of Love Goodly's summer box! Cya later black nail polish--pink is back in. Fall and winter are all about dark hues on your fingers, but in the summer, your toenails get a glimpse of the sunlight. Instead of having them be bare, add a pop of color with Nail & Bone's nontoxic, 8-free nail color (What does 8-free mean, you ask? It means this product is created without formaldehyde, formaldehyde resin, toluene, DBT, camphor, parabens, TPHP and sulfates). And the packaging speaks for itself: Nail & Bone donates 20 percent of their proceeds to animal rescue organizations, making this polish the ultimate win-win. It's been a hot minute since I've worn eyeliner. Mainly because I'm honestly way too lazy to take the time to put on extra makeup in the morning, but also because I hate it when the eyeliner transfers from my lid to my brow bone. 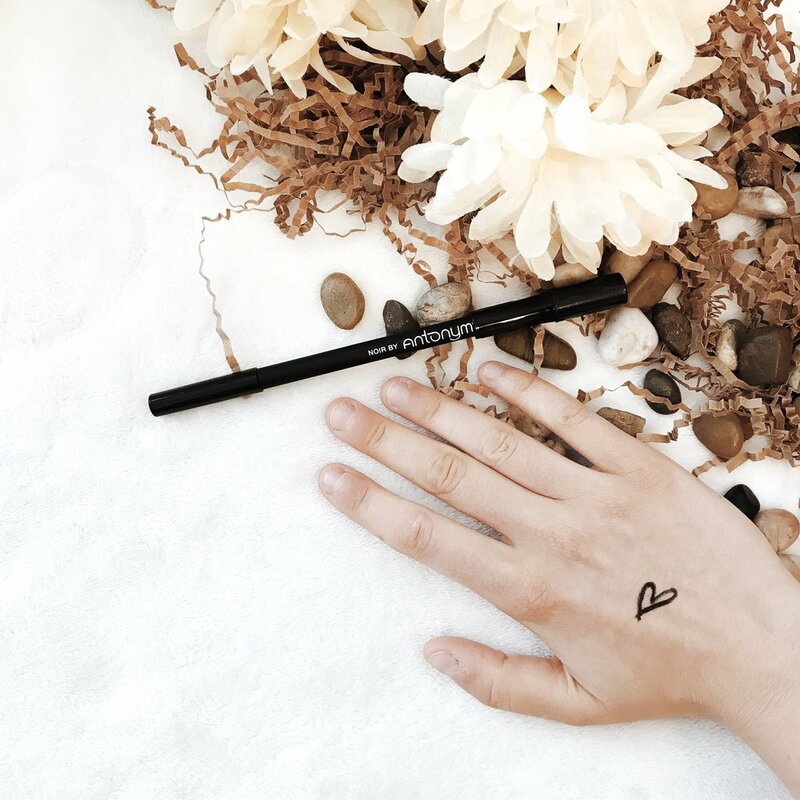 But with Antonym's 100 percent natural, vegan and waterproof eyeliner you can have your wings on point regardless of sweat, water and rain. If you have been following my blog for a while, then you know I'm absolutely obsessed with Pacifica Beauty. Which is why I was ecstatic when I opened the lid of my Love Goodly box and saw Pacifica's pretty packaging staring back at me. While I'm not a huge fan of lipstick, you can bet I will be wearing this natural lipstick this summer. 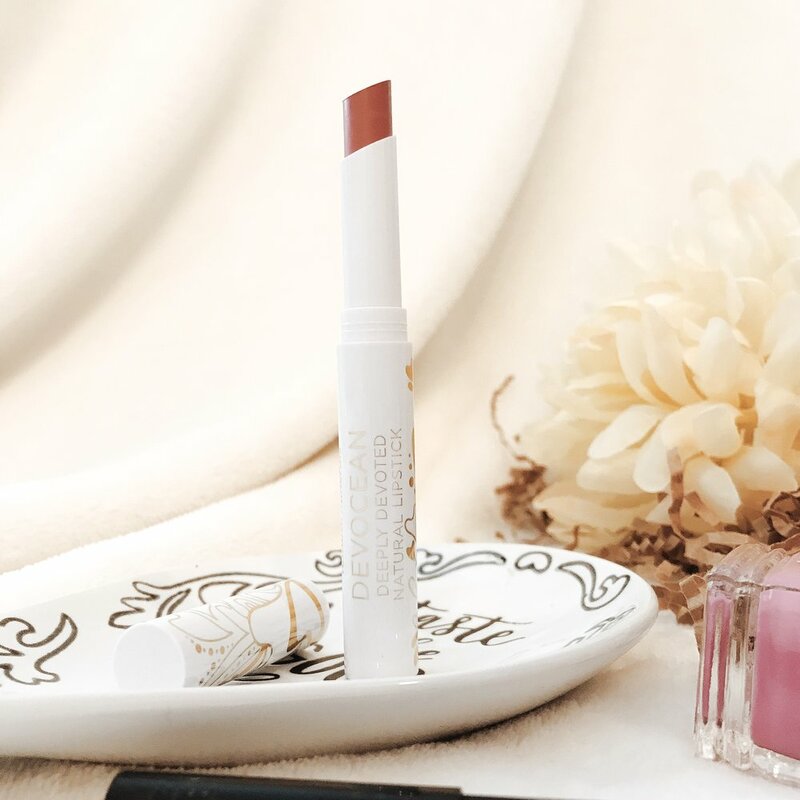 Full of jojoba and shea butters, this lip color is creamy and doesn't dry your lips out like other lipstick brands do. Instead of resembling Lorde and her signature dark purple lips, Pacifica's lipstick will radiate bohemian vibes that are perfect for the summertime. No sundress, jumpsuit, or whatever your summer uniform of choice happens to be is complete without a simple necklace. This mini triangle pendant from Dogeared is my new go-to accessory this summer. But unlike other necklaces, this one in particular holds meaning. The necklace that came in my Love Goodly box was called: "you are mighty," but the brand has other necklaces including new beginnings, happiness and good luck. Perhaps my favorite part of Dogeared necklaces is that the brand is socially and environmentally conscious, as all necklaces are created with 100 percent recycled metals and are crafted in the USA. One of my favorite things about Love Goodly boxes is that every-other-month you get a box delivered to your door that is always cruelty-free and always supports a different charity. Unlike other subscription boxes where you're paying well over $40/month for products that may-or-may-not fit your ethical beliefs, Love Goodly's bi-monthly boxes are only $29.95--it's actually a steal. And I wouldn't be called Brunette with a Budget if I didn't help all of you get a steal! Which is why you can use my code BWAB6 to receive your next Love Goodly box for only $23.95. If you're into cruelty-free, nontoxic and natural beauty, jewelry and eats...then this box is for you! Click here to check out Love Goodly for yourself, and fall in love!